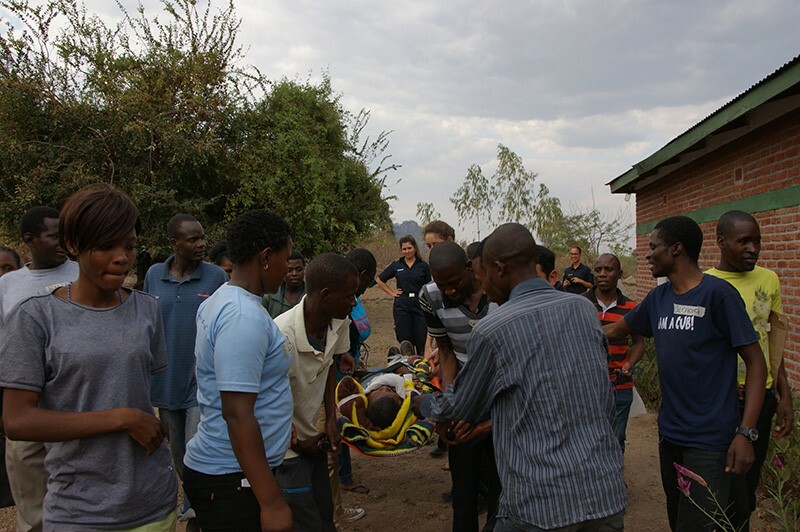 In September RescueNet trialled it’s Disaster Preparedness Program in Malawi. Read on to find out more! Disaster preparedness is very different from disaster response, yet being recognised as increasingly important. Preparedness involves putting in place; things which help us cope better with a disaster when it comes. Having an emergency supply kit or an evacuation route worked out, understanding how to get clean water or what to do when someone is hurt, all help communities become more resilient in the face of an emergency. 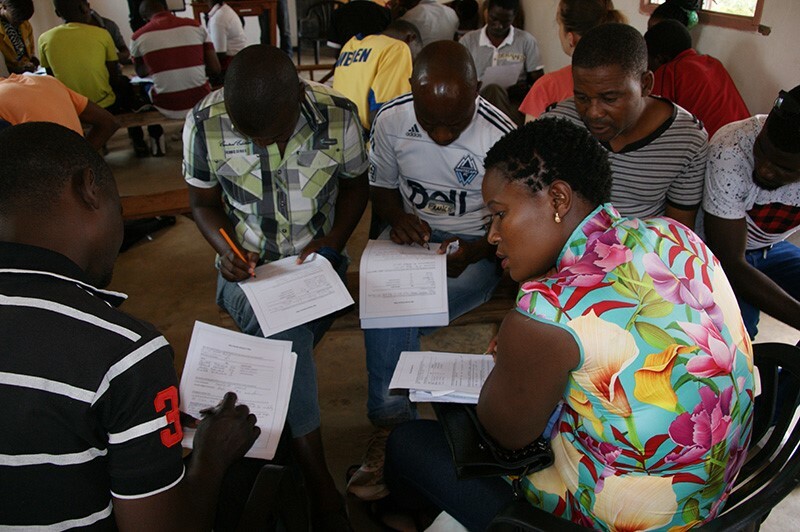 Most governments are working on national disaster plans, however it is also helpful for individuals to learn how they can help themselves, especially as aid is often slow in arriving. 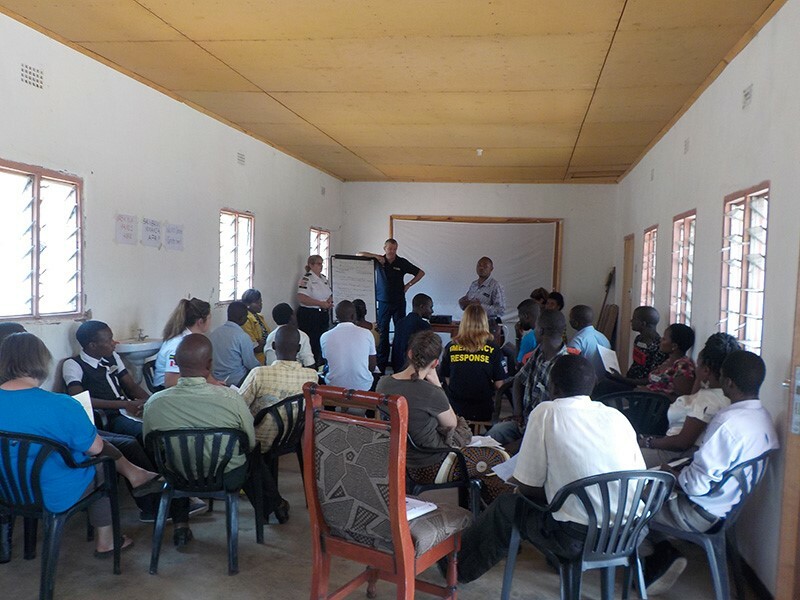 RescueNet’s Disaster Preparedness Program is a 5-day event which helps communities kick-start their own initiatives to better anticipate and respond to disasters. 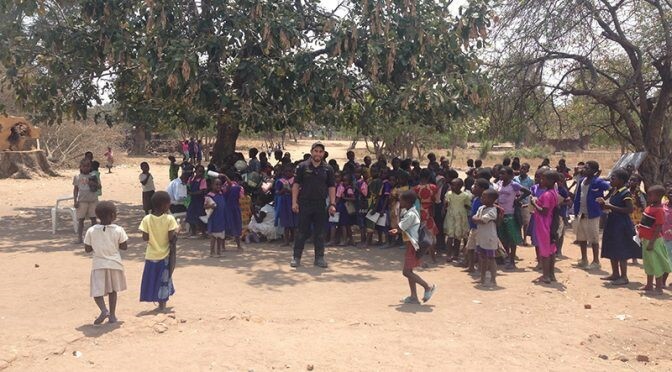 Our first trial of the program took place in Agabu, a remote area of Malawi. Agabu lies south-west of Lake Malawi and the community there lives in homes made of mud and straw or tin. Every year, flood waters steal away crops, animals and human lives. Poverty increases as people spend large proportions of their time and income repairing what was lost. One man, Decent Levson, decided to join a RescueNet Introductory Course with the plan to teach his community disaster response skills. Now God’s abundance sent in a whole team, six RescueNet members from all the corners of the globe, ready to serve. Jumping straight in, the team spent the first week helping in a clinic and teaching first aid in schools (see personal testimony from Kaylie). This was a good opportunity for them to observe local customs and prepare for running the program the following week. Twenty-eight participants, including teachers, farmers and local business owners, joined the 5-day program. At the end of the first day, they spontaneously voiced what is at the core of the DPP: that flood losses did not need to be accepted as inevitable. “No more!” was the consensus. During the remainder of the days, the team came alongside participants to create ideas and develop plans to help the community prepare for and cope with disasters. They taught practical skills in survival techniques, search and rescue, medical and psychological first aid whilst the community came up with an early warning system using a bell and flags. At the end of the week, participants provided overwhelmingly positive feedback, asking the team to return the following year. “A little boy, maybe about 7 years old, was on a small bed hooked up to an IV with his mom and grandmother on either side, holding him down. He was seizing and had been all day. He was in a pool of sweat and saliva. His little body was rigid and his eyes were rolled back. I found myself quickly at the head of his bed, my heart poured out for this little one. I reached out to lightly touch his head and was overcome by the desperation and pain in his small body. I fell to my knees and started crying by his bedside and after a few minutes, I felt a hand on my shoulder. HIS mother was comforting ME!! I looked up and locked eyes with the grandma who put her hands together - asking if we could pray. I quickly nodded and all three of us started praying over him in our own languages and watched as his wailing calmed and his rigid muscles start to rest. Never in my life have I felt so desperate on the Lord to move in a situation. I realized then that the reason I was in Africa was to open doors for His Spirit to move and His healing to flow. Following the success of the Malawi outreach, we plan to run another DPP in 2018, most likely in the Asia-Pacific region. As Kaylie’s testimony shows, you don’t need to be an expert in community development or disaster response for God to use you. Curious? Get in touch with Dani at danidezeeuw@rescuenet.net.